Act 13 amended the Pennsylvania Oil and Gas Act, preempting municipal zoning of oil and gas development. It also established an impact fee on natural gas. The Delaware Riverkeeper Network, Maya van Rossum in her capacity as the Delaware Riverkeeper, Dr. Mehernosh Khan, and seven municipalities filed suit on March 29, 2012 challenging the law on the grounds it violates the Pennsylvania and United States Constitutions and endangers public health, natural resources, communities and the environment. The municipalities participating are: Township of Robinson, Washington County; Township of Nockamixon, Bucks County; Township of South Fayette, Allegheny County; Peters Township, Washington County; Township of Cecil, Washington County; Mount Pleasant Township, Washington County; and the Borough of Yardley, Bucks County. 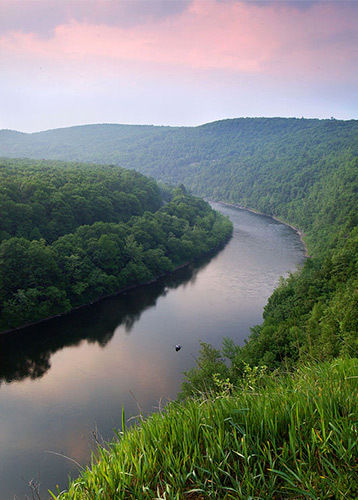 The named Appellants are the Commonwealth of Pennsylvania; Pennsylvania Public Utility Commission (“PUC”); Office of the Attorney General of Pennsylvania; and the Pennsylvania Department of Environmental Protection (“DEP”). Oral argument was held before the PA supreme court on October 17, 2012.